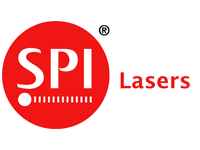 We deliver and integrate fiber laser sources from market leaders SPI Lasers and IPG Photonics. These systems are most suitable for integration into automated lines and complex systems since the conduct of the laser beam at the fiber eliminates problems with their lasers deposed and maintenance. Based on the mode of the laser you can choose from SM (single mode) or MM (multimode). On custumer request we can deliver sources with special beam profile such flat top or rectangular.